I’m writing to you with a brain that feels a little like mush – but in a good way. 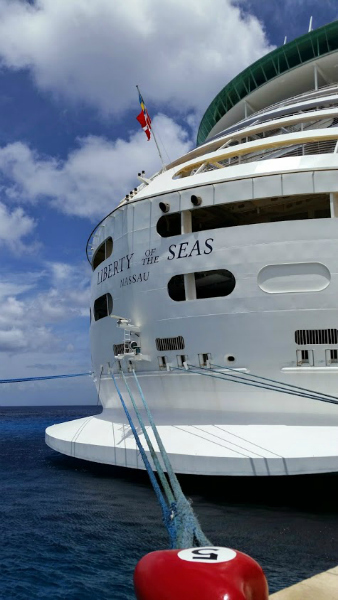 I walked off of the Liberty of the Seas yesterday at about 9am after an extremely relaxing and re-energizing few days. I didn’t realize how great an uninterrupted night’s sleep would feel – let along how rejuvenated several of them strung together would leave me feeling! We took an afternoon nap even after sleeping in until noon multiple days – no regrets! I feel like cruising is the ultimate lazy person’s vacation and we proudly took that to a new level these last few days! In between sleeping sessions I did RUN! I honestly can not even begin to tell you how amazing it is to run on several good nights of sleep with completely fresh legs! Even on the treadmill I was ridiculously happy. I wanted to go for 50 minutes on Sunday but around 40 minutes in my left hip starting feeling a little twingy. Even with a walking break I could still feel that something was off, so I stopped at 45 minutes and stretched really good. No reason to push it at this point. I didn’t sync my Garmin in Cozumel like I thought I would. I wanted to go for an early morning run but… I slept in until noon and it was HOT out by that point. Instead of running Adam and I found a little restaurant to park our butts and enjoy the view. The view and a couple of drinks. 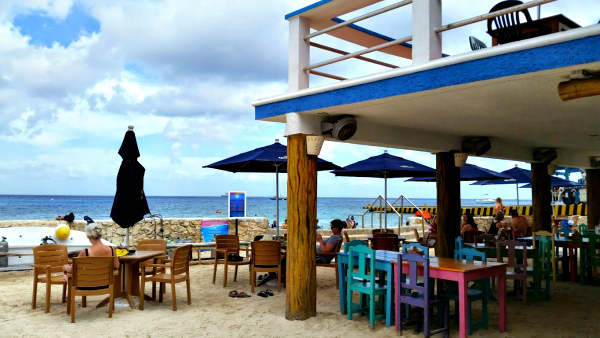 I have no idea why but in Cozumel I crave Pina Coladas and slurped down my fair share. No pictures because I was too busy getting buzzy :). 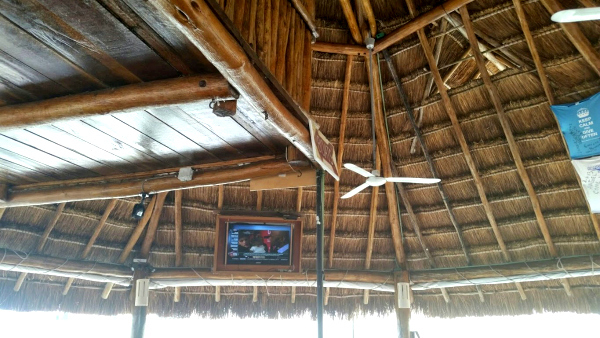 Of course we selected this particular restaurant not just for the view, but because it had a TV playing ESPN and you know us…. 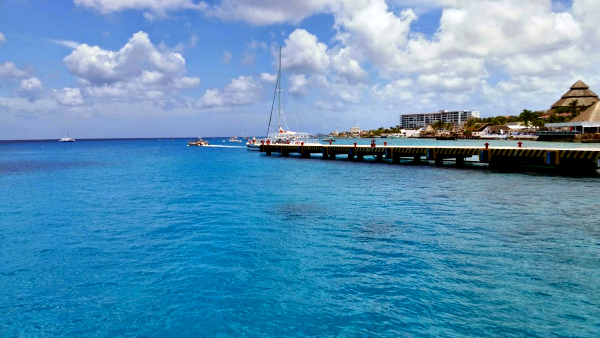 The water in the Caribbean is the prettiest thing I’ve ever seen in my life. Every single time it takes my breath away. ^ I just want to DRINK IT! For a siesta, of course! 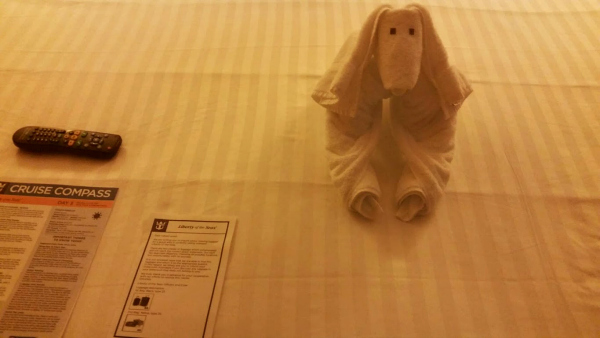 …with a new friend our stateroom attendant had left on our bed. We named the little guy Cecil ;). In case you’re starting to think all I did on this trip was some easy running, sleeping and drinking – let me prove you wrong! I also ate cupcakes. Had to carbo load for all that running! I also did some reading. Right before we left I downloaded Amy Poehler’s Yes, Please and Tina Fey’s Bossypants. I dived into Yes, Please right away! I feel bad saying this, but I didn’t really love Poehler’s book like I thought I would. There were definitely some funny stories from her SNL days and a couple of good takeaways, but I think someone with more of a comedy/acting background would appreciate it more. I think Amy would agree that’s a fair assessment. I’m only a couple of chapter’s into Bossypants and am enjoying it 100X more. It’s much more like Mindy Kaling’s book “Is Everyone Hanging Out Without Me?” If you’re a Mindy fan, give it a try. It’s only like $4 to download it to your Kindle. … And now I’m back home. I’m actually feeling good about being back in my routine. I feel like this trip gave me time to re-charge and re-think about things that I previously had accepted as “it is what it is.” Having a positive and fresh perspective on things is just….great. It’s really as simple as that! I hope your weekend was relaxing too! Did you watch Boston yesterday? Sadly I missed it!!!!!! Previous Post A Running Update! Sounds like a wonderful trip! I did watch Boston yesterday–so inspiring! Glad you are energized and recharged! 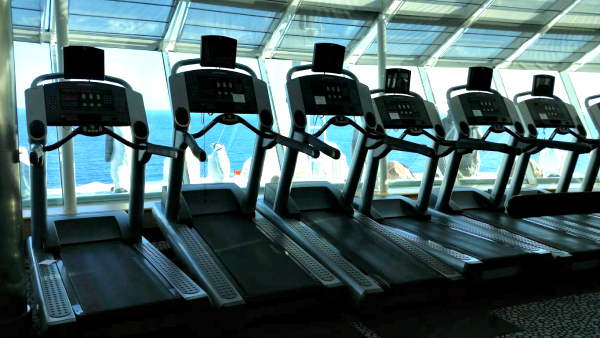 Could you feel the ship moving when running on the treadmill? Yes! The last couple of times we cruised I’ve gotten really seasick when running on the ship. This time I picked one of the treadmills that faces inward instead of out towards sea and I think that helped a lot! Sleeping + running + cupcakes = perfection. This trip sounds lovely!!!!!! Hope that hip gets to 100% soon! Sounds like you had a great time! The water looks so amazingly beautiful. Boston was pretty awesome. I was watching it while sitting in a rather boring meeting. Haha. When I need to recharge, I like to go to Glacier National Park. My husband and I got married there and I just love the peacefulness of the trails. Someone was just telling me today about how amazing Glacier National Park is. I really want to visit someday in the near-ish future! I would soooo sleep in and then take naps – best part of a lazy vacation. Great pictures and love the view from the gym. I can’t believe I haven’t read Mindy’s book yet.. I should get on that! Awesome, Kristina. Sounds like a truly amazing trip. Nice to get back to running, too. YAY. Love how you guys found a bar w/ a TV showing sports. Totally Rick and I. Had to laugh when you said you crave the pina colada in Mexico. I am such a beer girl normally but when we go to Mexico I am always drinking the fruity drinks. They taste so good! We do a lot of traveling so hard to pick a favorite but going to Mexico has been something we have done a lot. It’s beautiful, easy to get there (as opposed to when we have gone to Central America), the people are amazing, the food is awesome and you can’t beat the prices. We love to go to all inclusive resorts. Like a cruise but w/ more freedom to venture out and do your own thing. I am surprised you are a beer girl!I really dislike beer. I always describe it as tasting like dirty socks, even though I have no idea what dirty socks taste like ;). Adam and I have always avoided all inclusive resorts, but I think we might try one this year. 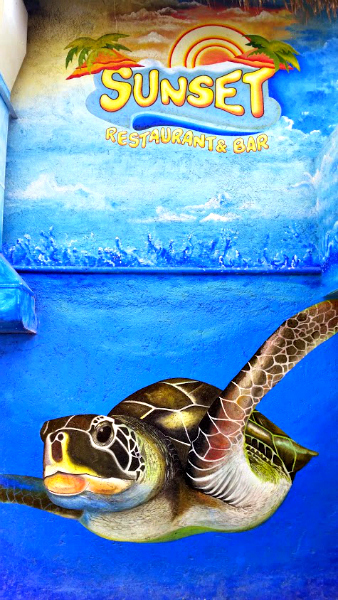 We haven’t made any official plans yet, but we’ve started looking at a couple of places in the DR. Have you been? Honestly between a cruise and all inclusive, I choose all inclusive BY FAR. We have done one cruise and it was fun but not for us. Don’t love being trapped on a boat. Want to get out and explore. I will add, however, when we do our “adventure travel” (Costa Rica, Panama) we don’t stay at the resorts. We like to travel the country and stay in more local places to get to know the people. Have not been to DR. Mexico is just too easy to get to (non stop 3 1/2 hour flight) and it has everything we want. 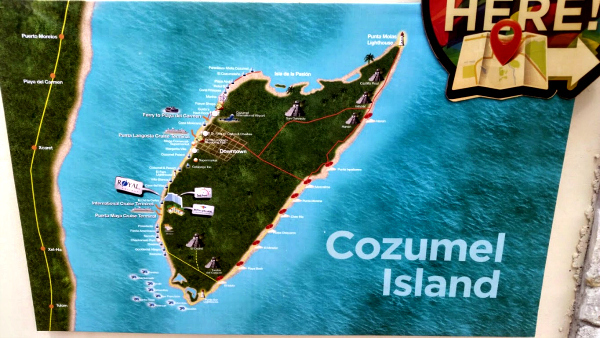 When we start looking into other resort places we always end up saying “maybe we should just go back to Mexico” (we stay in all different places when we go: PV, Cancun, Playa, Tulum, etc. 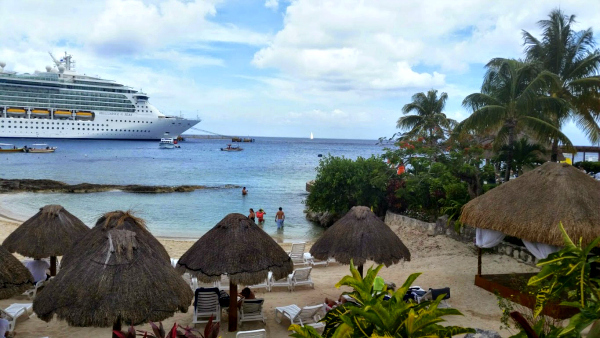 Haha your reasoning for flying to Mexico is why we always end up cruising there – it’s so easy! We live 15 minutes from the Port and because Adam works for Royal Caribbean it costs us virtually nothing. The temptation to do what is easy AND still fun is so hard to turn down each year! One of my colleagues told me about cheapcaribbean.com yesterday. He said he was able to stay for about a week in the DR last year at an all-inclusive for under $1,000 per person in the adult-only and “upgraded” side of one of the resorts. That seems like a really good price! When I was looking at Sandals earlier this year for a week in March/early April in DR or Mexico the prices were crazy (like $8K for a week!). The pictures are amazing and yes the water looks drinkable lol. My favorite vacation spot is in state, the town is called Sedona. I think I’ve wrote about it before. If not look it up, it’s beautiful. Glad you got some rest, don’t be taking things so serious, your health is most important. I think I need to go on a cruise, right now! 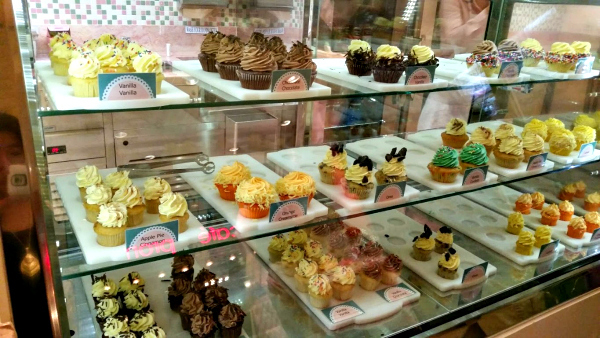 Napping, running, and cupcakes for a few days sounds amazing! Sounds like a great trip to me! Sleep, drink ,and sleep and snuggle – awesome. Glad you had a relaxing trip! 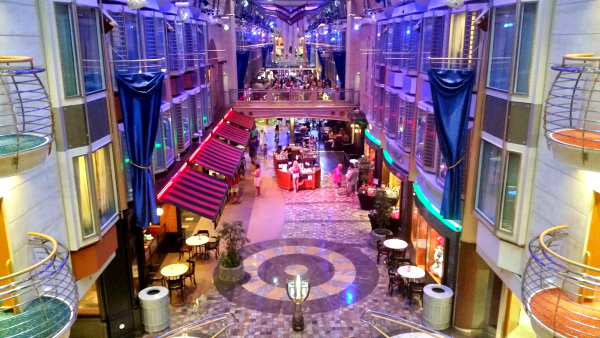 I love sleeping on cruises… the rooms are always so dark and quiet! Looks like you got some good running in too! No shame in the sleep game…I sleep till noon most weekends! I need it! I’m glad your runs were mostly good. Isn’t it cool how fast you can come back from zero and run 40 mins?! Oh, those pictures are amazing!! 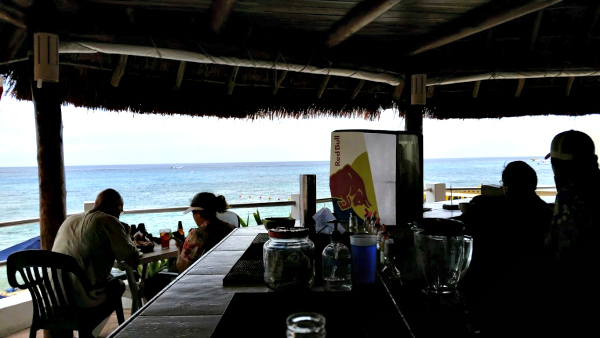 My favorites are the ones from the bar overlooking the beautiful water! Glad you were able to rest and relax – you needed that more than anything!!! I totally agree with you about Amy’s book. I laughed out loud far more during Tina’s book, but it isn’t that I didn’t enjoy Yes Please.. it’s just not a book of jokes like Tina’s is. Your vacation sounds so wonderful! 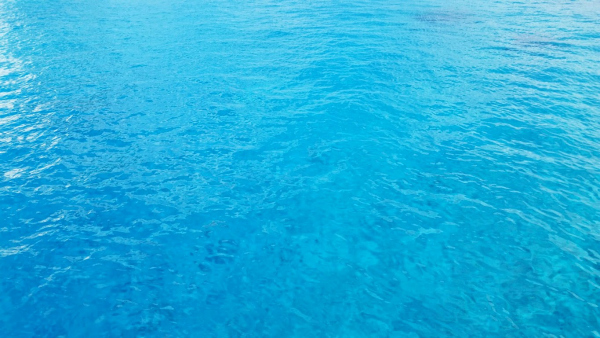 That water… holy blue! Exactly! I thought the book was good just not my absolute favorite! That water looks like an Electric Blue cocktail! Your vacation sounds ahhhhhhmazing. Every time I go on vacation I always feel like i have to do EVERYTHING there is to do so I can feel like i’m getting my money’s worth. Your way sounds so much better! For our next trip: I’m going to NYC with my daughter (and I’ve over-planned all our activities of course). Adam HATES planning. It’s definitely in my nature to pre-plan every single minute but he complains about that all the time so I’m trying to roll with the punches more … and it’s actually not so bad! Yay! Sounds like a perfect, relaxing, and TIMELY vacation – one that you sound like you really needed. So glad to hear you were able to get plenty of rest and ocean time in. I’m also glad to hear your hip is feeling better! I think I finally know what’s going on with my hip (which is still tweaky and bothering me). I hope you’ve got it figured out! What do you think it is? I’m glad you got lots of rest on your vacation! I’ve always wanted to go on a cruise but have yet to do so. Your photos look beautiful! That is disappointing about Amy’s book. I would have thought it would have been amazing and hilarious just like she is. It sounds like you had the type of trip that you and Adam needed. 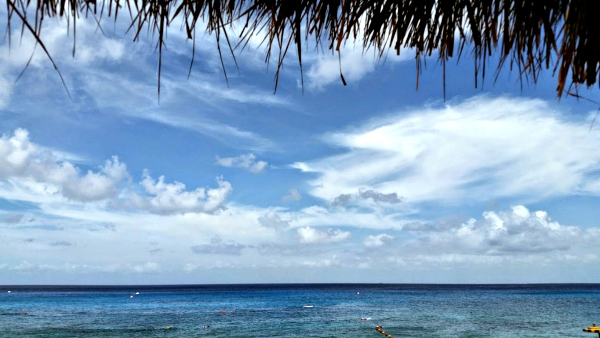 Sometimes we never know what a vacation is going to look like until we are in the moment. There are times when I plan all kinds of “adventures” but then I get there and just want to lounge, veg, and soak it all in without overdoing. Good for you for listening to your body and enjoying the down time. I would have eaten all the cupcakes for sure!!! After seeing the beautiful water and sandy beaches in your pictures, I am now looking forward to our trip to Mexico even more – three weeks!!! While we were walking around I totally thought of you! I know you’re going to have a great time!!!! I have wanted to read Amy’s book but haven’t gotten around to it yet. I really liked Tina’s though. Have you ever heard Terry Gross interview them on NPR? She interviewed Mindy Kaling too. Great listening! Did you miss Cecil??? I am worried about our vacation. We will be gone 12 days- that’s the longest I will have ever been away from the boys! I have not listened to Terry’s interview with them but I bet it’s amazing! That’s a whole lot of awesome in one interview! OF COURSE I MISSED CECIL! When we go on vacation I scroll through pics of him that are on my phone way too many times per day! 12 days is a long time! I think the longest I’ve ever been away from Cecil was 10 days and that was so hard! Glad you feel so rested and rejuvenated and had a great time!